Our Science Curriculum is designed to support the Programme of Study set out in the National Curriculum and also to build upon children’s curiosity, enthusiasm and understanding of physics. We promote science in school not only through discrete lessons but links to real-life events and experiences. We also acknowledge progress and effort in science with a monthly Scientist award presented in assembly. 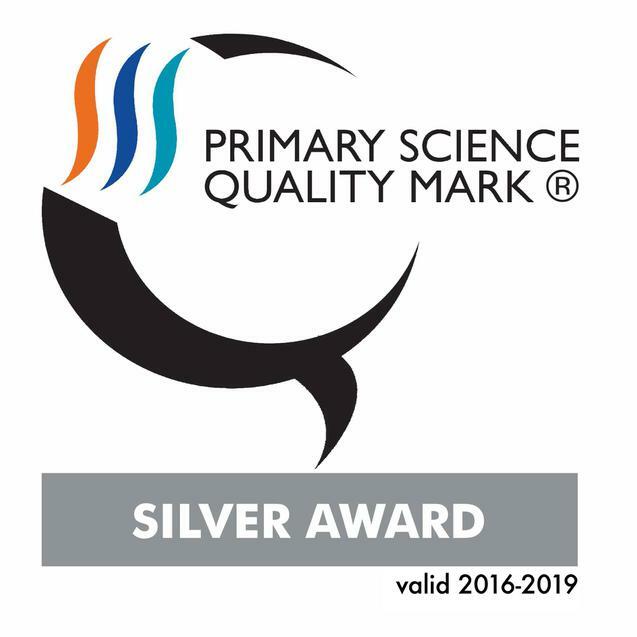 We are very pleased to have been awarded the Primary Science Quality Mark Silver Award. Congratulations to the staff and children for working so hard to achieve this. Please click the image below to have a look at a portfolio of our Science work.